Well, lookee' here. Motorola's been building their own Android Marketplace, and someone found it out. It's been taken down since, but here's what Android and Me found before Moto pulled the plug. The biggest addition is that it's web based. That's right, Android users. 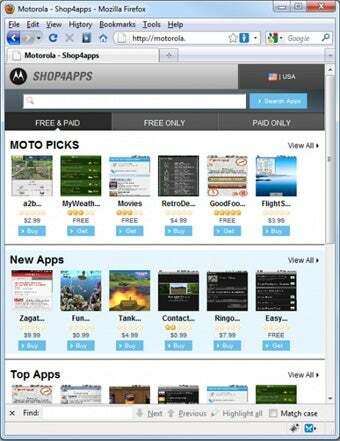 A store that's easily browsable on the desktop. Not to mention an application for desktop app management.